Profit at casino operator Genting Malaysia Bhd rose 10.6 percent year-on-year in the first quarter, it said in a Thursday filing to Bursa Malaysia. Such profit was MYR358.2 million (US$89.9 million), compared to MYR323.9 million in the prior-year period. The group announced however that first-quarter 2017 results had been subject to some restatement, due to some change in accounting practices. The group’s total revenue grew by 7.9 percent to nearly MYR2.40 billion in the first quarter, from MYR2.22 billion a year earlier. Adjusted earnings before interest, taxation, depreciation and amortisation (EBITDA) improved by 7.5 percent, to MYR607.7 million, from MYR565.2 million. The company has casino operations at Resorts World Genting (pictured), Malaysia’s only licensed casino destination; in the United Kingdom and Egypt; and in the United States and the Bahamas. On a consolidated basis in those markets, Genting Malaysia recorded for the period gaming revenue of nearly MYR2.04 billion. In Malaysia, such revenue for the period was MYR1.60 billion, up 19 percent from the prior-year period. In the United Kingdom and Egypt, which are twinned for accounting purposes, such revenue was MYR412.4 million, down 12 percent year-on-year; and in the U.S. and the Bahamas, it amounted to MYR346.4 million, a decline of 9 percent from a year earlier. The total revenue for the leisure and hospitality segment in the first quarter was MYR2.36 billion, an 8 percent improvement from the prior-year period. The firm said the Malaysian leisure and hospitality business achieved higher revenue and adjusted EBITDA to the tune of 19 percent and 22 percent respectively in the first quarter, “primarily contributed by overall higher business volumes”. Adjusted EBITDA at Resorts World Genting stood at MYR533.7 million in the three months ended March 31. Genting Malaysia said Resorts World Genting had received 6.5 million visitors during the quarter, which it described as a “commendable” 26-percent growth from the first quarter 2017, “despite ongoing development works at the resort”. Japanese brokerage Nomura said in a Thursday note that the EBITDA margin at Genting Malaysia’s domestic operations “remains resilient as visitations, [gaming] volumes” continue to grow. “For the second straight quarter, improving visitation and higher gaming volumes resulted in revenue/EBITDA up 19 percent/22 percent year-on-year and flat EBITDA margins at its Malaysia operations as capacity utilisation at its new facilities at Genting Highlands ramps up,” wrote analysts Tushar Mohata and Rahul Dohare. The Malaysian property has already opened several new facilities and attractions, and Genting Malaysia’s management has said it expects to open the 20th Century Fox World Malaysia theme park in the second half of this year, according to Nomura’s note. 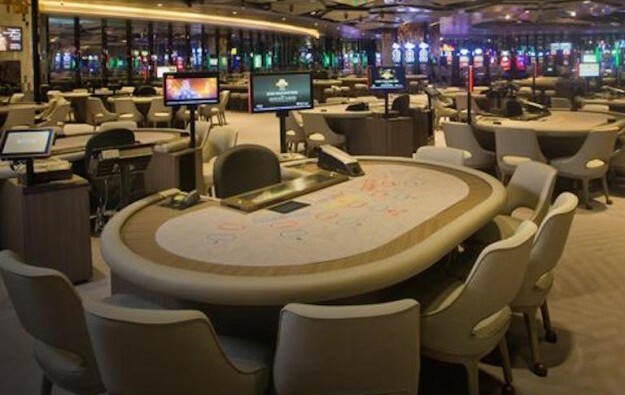 U.K. and Egypt operations for Genting Malaysia overall recorded lower revenue and adjusted EBITDA, “mainly due to overall lower volume of business and hold percentage from its premium gaming segment,” the firm said in commentary to its results. In the U.S. and the Bahamas, the group’s lower revenues judged year-on-year were “largely attributable” to the strengthening of the Malaysian ringgit against the U.S. dollar. “Excluding the impact of the foreign exchange movement, revenue from the U.S. and Bahamas operations increased by 3 percent,” stated the group, adding “the group remains focused on the development of the US$400 million expansion at Resorts World New York City”. In those two markets, Genting Malaysia said its adjusted EBITDA improved by 57 percent to MYR64.8 million mainly due to “lower operating losses” from the Resorts World Bimini operations in the Bahamas “as a result of cost rationalisation efforts at the resort”. The same day, Genting Malaysia’s parent, Genting Bhd, also reported its first-quarter results. The parent said overall revenue was MYR5.25 billion, an increase of 10.1 percent compared with the prior-year quarter. The parent added that Singapore casino venue Resorts World Sentosa had contributed higher revenue and adjusted EBITDA in the period, “on the back of healthy growth in volumes across all major business segments”. It added the Lunar New Year period saw a “bustling VIP rolling volume” at Resorts World Sentosa, “notwithstanding a calibrated credit risk model”. The property had averaged 18,000 visitors per day during the period, added the parent. The operator of Resorts World Sentosa, Genting Singapore Plc, reported its first-quarter results to the Singapore Exchange on May 10.